Most people don’t think of “Netflix and chill” as a way to do their homework. However, most people aren’t actors who are devoted to their craft. You can binge-watch hundreds of series on Netflix. Some of the highlights are the original Netflix series, many of which feature actors showing off their chops in a unique way. 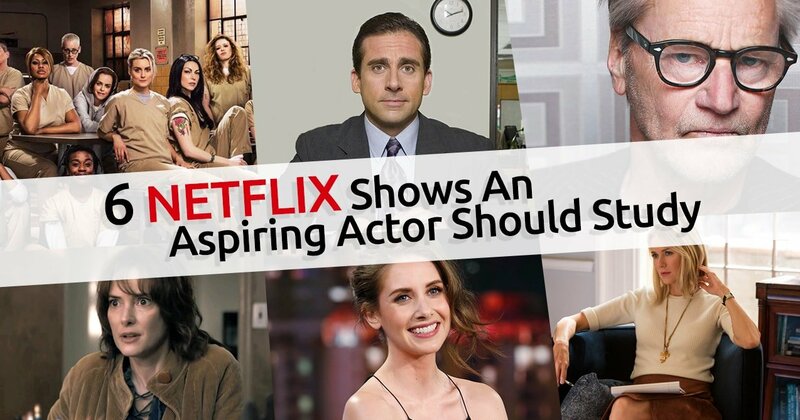 Here’s what (and who) to watch if you’re an aspiring actor. As Ruth Wilder, Alison Brie goes beyond her usual girl-next-door role in this campy comedy-drama. Although she does play a naïve, doe-eyed actress, she delivers moments of darkness, loneliness and desperation. Brie really shines during a fantasy scene in which she is all-out fighting with her arch-nemesis Debbie, who is played by Betty Gilpin. The tiny actress becomes larger-than life in the wrestling ring. In GLOW, Brie also shatters the image of the polished, uptight women that she typically portrays. In GLOW, Brie allows her rough edges to seep through her perfect smile. Her performance is so authentic that you can glimpse her inner fearlessness. In this psychosexual drama, Naomi Watts plays Jean Holloway, a therapist who develops her own fascinations with the objects of her patients’ obsessions. A Meisner-trained actress, Watts authentically draws viewers into every moment on screen. The camera often focuses on close-ups of Watts’ face, which reveals the expressions of a suburban housewife as easily as those of a fanatical lover and skillful liar. She seamlessly contrasts the brightest and darkest sides of her character in much the same way as she did in her breakout film, Mulholland Drive. We couldn’t write an article about Netflix shows to study without mentioning OITNB. Like GLOW, the show’s characters are well-defined and rife with unexpected as well as predictable qualities. Playing these types of characters requires an ability to tap into a well of emotions. The character who is confident on the outside often reveals her most vulnerable insecurities at the most inopportune moments. The strangest characters have the most relatable backstories. The most conventional characters have surprisingly eccentric qualities. It takes skilled actors to effectively portray these personas. Their motivations must come off as realistic for the audience to bond with them. No matter how outlandish the storylines are, they resonate with the viewers because the actors access genuine emotions to express them. Although Michael Scott, played by Steve Carell, is an extraordinary lead for this mockumentary-style comedy, the other actors support the comedy in genius fashion. Watch this series for a look into how to create a solid character. This television show is about more than great writing. Each actor has developed specific mannerisms and quirks that represent his or her identity. While some of these traits are over the top, others are starkly subdued. Observe the way each actor develops his or her character alone, in contrast to and in conjunction with the other characters. If you want to be amazed by the proficiency of an ensemble of child actors, watch Stranger Things. Although the Netflix-original series deals with the more bizarre side of the supernatural, the superb acting makes the oddities seem relevant. Even if Winona Ryder has irritated you in the past with her exaggerated portrayal of drama and despair, you’ll buy her interpretation of a worried mother agonizing over the disappearance of her son. Her agitation contrasts well with the more even-keeled nature of the children. It’s interesting to watch these young actors portray children who are passionate about finding their friend but don’t let the mystery derail their motivations. Their performances are entrancing. Is good acting enough to keep a show going? That’s the question posed by many Bloodline reviewers. The Netflix-original series features an ensemble of actors who brought depth to roles that might otherwise have been shallow. Kyle Chandler is perhaps most well-known for playing the role of Coach in Friday Night Lights. He had to work hard to disassociate himself with that character to play the role of the “good” brother with a villainous undertone in Bloodline. He performs his role fluidly, as do his costars. Sam Shepard plays the patriarch of the family. Shepard studied under Wynn Handman, a protégé of Sanford Meisner. Ben Mendelsohn’s performance also stands out. He has been nominated for several awards for his portrayal of Danny, and in 2016 he won the Primetime Emmy for Outstanding Supporting Actor in a Drama Series. Sometimes, an actor’s performance can go above and beyond the writing, storyline or plot of a television show. These series, which are available to stream on Netflix, are ideal examples of this. When you watch them, you’ll get pulled into the emotion, drama, comedy and action because of the actors’ brilliant execution of the script. People sometimes laugh at me when I tell them that I have learned more about acting from a cult television show than an Academy Award winning motion picture. However, I have found that studying the techniques of actors who must convey a sense of realism in spite of fantastic subject matter has made me a better actor in every sense. 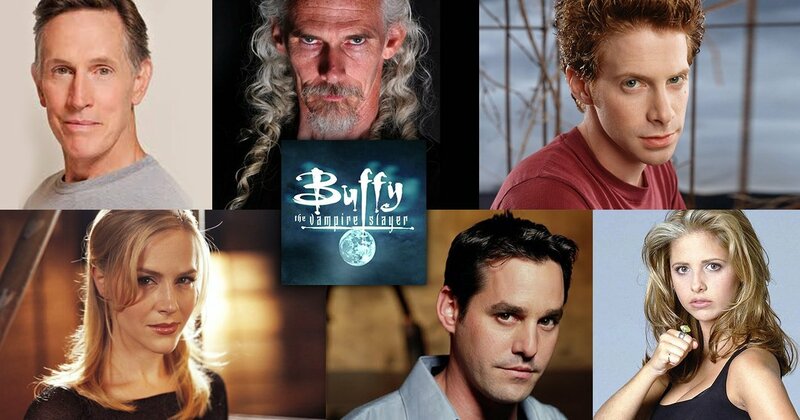 This is why I use the television series “Buffy the Vampire Slayer” as my inspiration when taking on a new role. Anyone who has watched or even heard of “Buffy the Vampire Slayer” knows that the meat of the series is the writing and directing from Joss Whedon and his team. Likewise, any screenwriter knows that excellent acting is required from all involved to make a script come alive. A good actor can make a superbly written script enjoyable. A great actor can create a series that continues to awe and inspire decades after its inception. One of the most difficult supporting roles on the series was that of Xander Harris, portrayed by the underrated Nicholas Brendon. In a series that was filled with witches, werewolves, demons and, of course, vampires, Brendon was the everyman who had to hold his own in an other-worldly atmosphere. The actor was given lines that were largely meant to serve as comic relief. However, his ability to add depth and meaning to simple one-liners made his character an integral part of the show. Watching Brendon, I have learned not to take any lines for granted. Some actors were so adept at their roles on “Buffy” that their bit parts were expanded into multiple episodes, some even becoming mainstays on the series. Seth Green, who portrayed the werewolf Oz, was meant to depart in the same season that he appeared. Treating his character with unexpected sensitivity, he made the viewing audience fall in love with both the man and the monster. As an actor, Green could convey more in an eyebrow raise than some other, lesser actors might be able to do with an entire page of dialog. Green has taught me to try new angles with my characters; to explore the unknown. Julie Benz’s character, Darla, was originally meant to be killed during the second the episode in the series. Instead, her presence was thought to add a needed layer to the romance between Buffy and her vampire boyfriend, Angel. Benz’s approach to her portrayal as a vampire was a combination of old-school horror and girl next door. She was at times soft spoken and sensual, and at other times terrifying. Benz would go on to appear in many more episodes of “Buffy” while also playing a crucial role in the spin-off series “Angel.” What she has taught me is to remember that every role can and should be multidimensional. For the uninitiated, “Buffy” ran for seven seasons. Each season had an over-arching story that appeared throughout the series, culminating with an ultimate face-off with the Big Bad. Buffy and her gang fought many other monsters along the way. Some of the most memorable of these lesser monsters include The Gentleman, a gang of mute, heart-stealing demons who communicated through gestures rather than language; Gnarl, a parasitic flesh-eater with a sing-songy style of speech; and the Turok-Han, the ultimate vampire. Interestingly, all of these monsters were played by the same actor: Camden Toy. Toy’s movements can be considered their own form of art. He is able to convey any type of emotion he wishes with or without a script. His episodes can be studied by anyone who wishes to be more physical with a performance. Acting is much more than the spoken word. Toy encompasses this in each of his roles. It can be extremely difficult to visibly portray emotion when covered in prosthetics, which are required for many of the monsters on the show. The Master, played by Mark Metcalf, was a creepy vampire who was adored and feared by other under worldly creatures. With a face completely disguised throughout his run on “Buffy,” Metcalf used his gestures and voice alone to give viewers an almost sensual fright. Considering the versatility needed for these roles, the Big Bads of “Buffy” have taught me to never rely on one facet of my craft. Rather, I should hone all aspects of my acting ability to create a truly meaningful character. Playing a superhero is never a simple task, but it was one that was made for Sarah Michelle Gellar. She chose to play Buffy Summers as a typical girl who just happened to also have super powers. Anyone could relate to Buffy’s daily struggles. She had boy problems. She worried about her hair and clothes. She had difficulty relating to her mother and studying for her SATs. Because Gellar was so able to encompass these everyday traits of her character, she was able to show the viewer a superhero that could almost be real. She was as adept at displaying physical power when fighting a monster twice her size as she was at showing extreme grief when handling the death of her mother. Gellar could play funny, frightened, determined and even bored, all in the same scene. She has taught me to never give up.